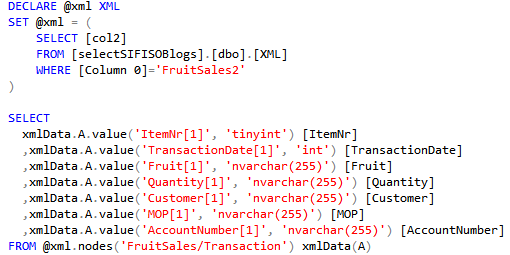 In this post, I will tell you about the LAG and LEAD functions in SQL Server. 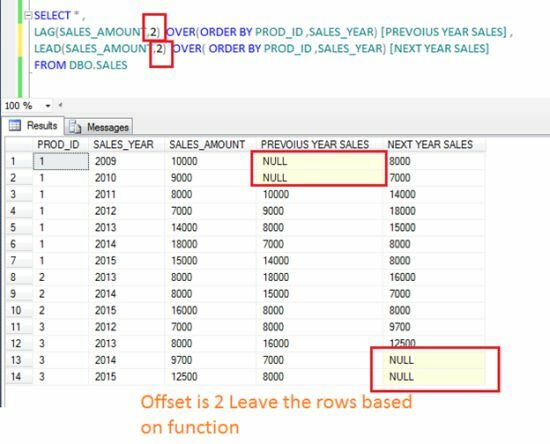 These two functions are analytical functions in SQL Server. In actual scenarios we need to analyze the data, for example, comparing previous sales data. 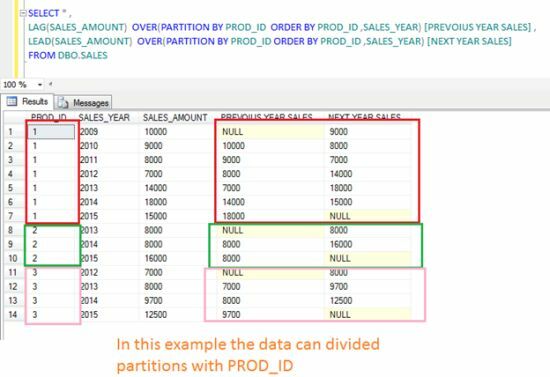 The Lag and Lead functions support the window partitioning and ordering clauses in SQL Server. The Lag and Lead functions do not support the window frame clause. 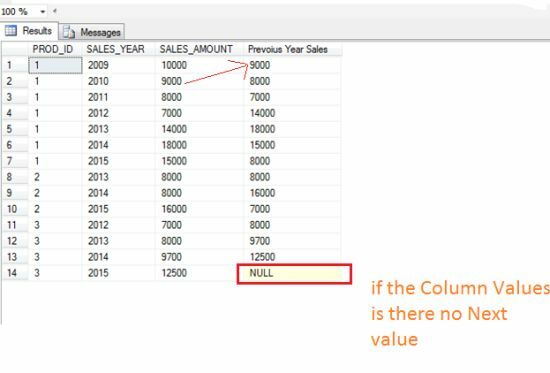 The Lag function gives the previous column values based on ordering. 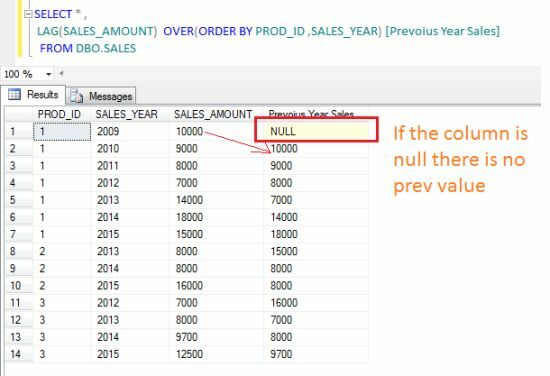 The Lead function gives the next column values based on ordering. The following example shows the Previous Year Sales Amount. The following example shows the Next Year Sales Amount. 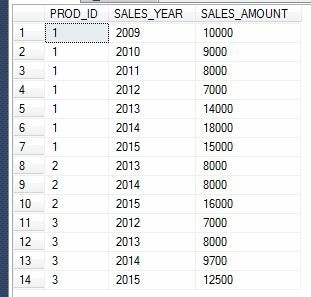 The following example shows the Previous Year Next Year Sales Amount using the partition by clause. The following example shows an offset other than 1. The offset is by default 1. If we want an offset other than 1 then we need to provide 2 argument values in the Lag and Lead functions. In this article, I am going to tell you how to create a procedure in the real time scenario. A stored procedure is a set of SQL statements, which has been created and stored in the database as an object. 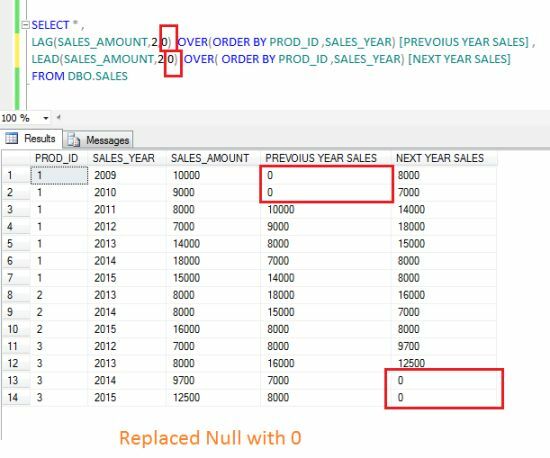 Stored procedure will accept the input and output parameters, so that a single procedure can be used over the network by several users, using different input. 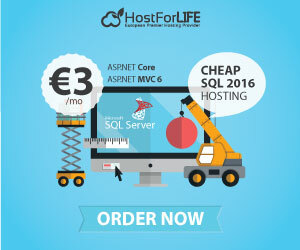 Stored procedure will reduce the network traffic and increase the performance. 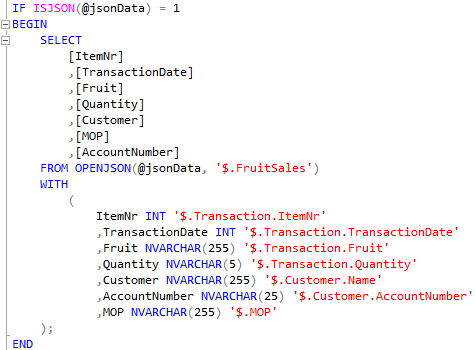 Step 1: Create a table to describe and create the stored procedure. Step 2: Insert some value to the describe scenario. Step 3: Check your table with the inserted value. Before inserting, check the detail about the product name. If the product name is available, check the product price. If the existing product price is less, the inserted product product price replaces the existing product price with the inserted product price. 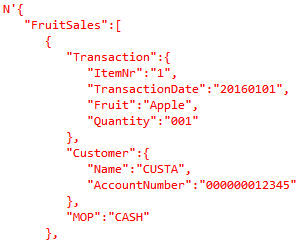 If first and second conditions are not satisfied, insert the product information, as new record into the table.